The Netherlands IHP-HWRP Committee Secretariat has been strengthened! 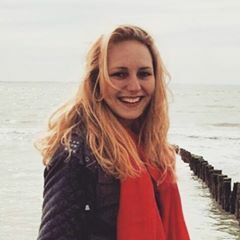 For the coming half year, we are happy to welcome Lyvia van der Jagt, who started an internship at the Netherlands IHP-HWRP Committee Secretariat. Hi, my name is Lyvia van der Jagt, I am a Coastal Zone Management student from Van Hall Larenstein, University of Applied Sciences in Leeuwarden. For the coming 5 months, I will work with the Netherlands National IHP-HWRP Committee as part of my final internship. I am excited and eager to learn more about the Committee, IHE-Delft company, and all the projects that come into play. I will especially focus on the main theme of the Committee this year, which is the Challenge ‘Climate Change, Migration, and Me’. During my study, I have worked on coral conservation and restoration in Thailand and followed a minor in Sustainable Island Management. The combination of these two projects led to my final thesis, which was focused on how to increase support, involvement, and participation with the Caribbean Netherlands Science Institute among the local community on St. Eustatius. Working for the Netherlands National IHP-HWRP Committee is the final step in my journey to become a graduated Coastal Zone Manager.